Don't waste valuable time and resources on content that goes unused. Watch our on-demand webcast for a step-by-step methodology for conducting a content audit, as well as guidance and advice for fixing current content findability and relevance issues. 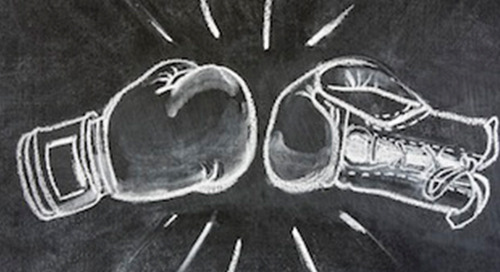 Face sales enablement challenges with a "no excuse" attitude. Discover Lionbridge's journey to sales onboarding excellence. Discover how Red Hat built a sales messaging program to enable sales to engage with higher-level audiences and discover new opportunities. In this guide, we address the need for b-to-b sales leaders to emphasize sales enablement tactics that directly support first-line managers using data gathered from our 2018 Sales Talent Study. Red Hat sought a sales enablement program that provided a consistent and compelling value proposition. In this guide, we describe six planning assumptions that sales enablement leaders should incorporate into their planning for 2019. The SiriusDecisions Sales Talent Recruitment Waterfall provides a five-stage framework that encompasses the key activities required to continually source and hire the best sales talent. 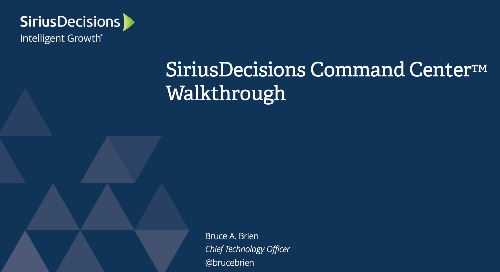 The SiriusDecisions Sales Onboarding Execution Framework helps facilitate a competency-aligned process to define, design, develop and deploy a consistent and scalable sales onboarding program. Establish a process to organize and align ongoing learning to competencies and assess learning continuums for retention and impact. Get best practices on how to equip reps with the lasting knowledge and skills they need to effectively execute. Is 25 Percent a Bad Number? Download the SiriusDecisions 2017 Sales Enablement Study to find out the scope of sales enablement and priorities of focus. Metrics: Leading, Leaning and Lagging, Oh My! As someone whose career spans more than 15 years in event management, Laura Vogel, SiriusDecisions’ senior director of events, is well versed in the challenges that events teams continually face. Today, organizational and commercial change are almost constant, which creates tension among tenured sales reps who want to stay in their comfort zone. Intelligence is creeping into sales, with analytical engines doing the heavy lifting. Learn three ways that sales technology is enhancing the way we sell and enable our sellers. 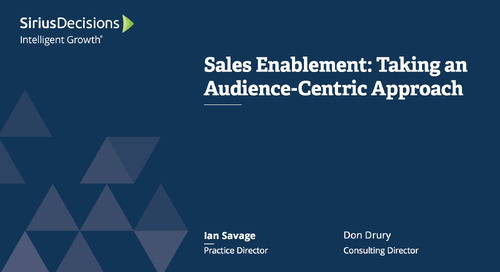 Watch as we demonstrate the elements of a sales enablement program that are impacted when an organization makes a shift from product-centric to audience-centric selling.